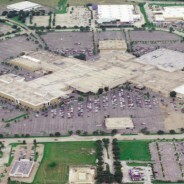 This 1,200,000 square foot regional enclosed mall is anchored by Macy’s, Dillards, J C Penney and Sears Department Stores. It features not only the notable mix of anchor stores, but approximately an additional 120 retailers inside this huge single level property. The ring road for the centers is home to Walmart, Sam’s, Lowe’s, Bed Bath & Beyond, Old Navy and numerous additional Big Box retailers. The Daniel Group, LLC worked on the center with the responsibility to re-merchandise and continue the successful leasing program that was already in place. One of the highlights of the leasing was the successful addition and opening of a Virginia College in the premises that had previously contained a shuttered “Steve & Barry’s” anchor store. Did you know that we have leased over 28 malls and specialty centers in 13 different states? Did you know that we have been teaching leasing for the ICSC for the past 25 years? Did you know that Rene has received ICSC's "Trustee's Distinguished Service Award"? Did you know that we were featured in the Wall Street Journal? GET TO KNOW THE DANIEL GROUP, LLC.